Come and Check us out at the NRA Annual Meeting in Louisville, KY on May 19-22, 2016. Great deals and sales at the show. Booth number 4107. New update with MTR Custom Leather as us May 17, 2016. UPGRADE your holster clip to the NEW and BEST clips on the market Ulticlips. 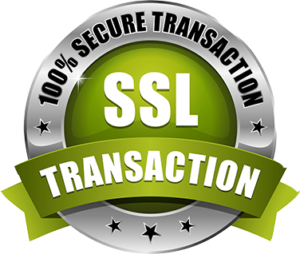 Check out videos and more information on our website under hardware. They are currently on sale for a limited time. Save 17% off each Ulticlip. MTR Custom Leather has improved there IWB leather straps. Check them out. MTR has NEW Richardson logo Hats available now on our website under T-Shirts. We have pink, orange, blue, black and yellow. They are GREAT for this summer. Everyone is wearing it. Have you like our Facebook page yet? If not, than you are missing out on NEW products, weapons, coupons, deals, updates and much more. Join our Facebook group as well. Questions, trivia, fun facts and much more. CHECK out our NEW Videos on YOUTUBE. Watch out for next newsletter for coupons, deals, updates, events and much more! Why does a woman need to carry? A lot of women these days are not thinking about protecting their self. They are relying on their significant other or someone else too. Some women say, “oh it’s too heavy to carry a weapon in my purse” or “I can’t wear holsters on me because I wear fitted clothes”. There are many excuses to why not to carry but there is more reasons to why NOT carry? Coming from a women, that I am, I have been in a few difficult situations where I needed a weapon for protection and in some cases where the weapon saved my life. Several years ago I was in college in our local gym taking some extra PE classes to get in shape. As you know, in the state of NC you can’t carry a weapon on campus, so therefore I could NOT bring my weapon with me. So I went with plan B, bring my stun gun. FYI, a stun gun is not classified as a weapon, however, a Taser is, big difference. We will discuss this in another topic. So back to the gym, I was in the locker room changing from my swim class and just so happened I was a lone, nobody else in there. FYI again, try to always have a gym buddy or have somebody with you. While I was changing, a tall muscular man walked in the “WOMENS ONLY” locker room and came close to me and just looked at me. It felt like several minutes, however I knew it was probably only a few seconds. I was so scared and my adrenaline was raging. I was thinking of so many different tactics that I could do to protect myself. The tall man was standing between me and the locker door entrance. So, I looked at the locker room door as if someone was coming in and the man looked too. As soon as I knew that he was not watching me I reached for my stun gun real fast and I started to press the shocker not actually on him, but very close to where you could feel the “heat”. I started to yell and shout, “GET OUT OF HERE”. The tall man ran for his life out of that locker before I could do anything else. After he ran out, I did too, I chased in him out of the gym door. After he was out of sight, I went and reported him, I never saw that man again in the gym. So ladies, it is very important to always have some sort of protection whether it be a weapon, stun gun, taser, knife or etc. I will discuss in later topics different weapons for protection. Whatever you decide to carry than please be trained at carrying it and using it. MTR Custom Leather offers many inside the waistband holsters options (IWB). There many factors that needs to be taken into consideration when choosing the right conceal holster. If you are carrying a large weapon for conceal carry example Glock 19 or 17, you may want to consider our A-1+ Deluxe Thoroughbred this holster is great for large weapons. This holsters gives you comfort for long term use. 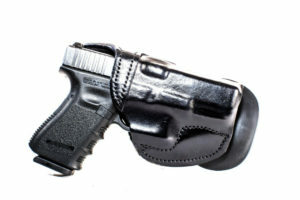 The Deluxe thoroughbred holster has two powder coated spring steel tuckable clips to help distribute the weight of the weapon (more details on www.mtrcustomleather.com). On the other hand, if you are wanting to conceal a smaller weapon example Sig Sauer 238 or Sig Sauer 938 than our A-3A Tuckable adversary is a great choice. The Tuckable Adversary has one powder coated spring steel clip and a body shield to protect you from the weapon and the weapon from you (more details on www.mtrcustomleather.com). More conceal carry options on our website and more to come on our BLOG. Can a Good Gun Belt Assist with Concealment? People often ask is it really necessary to carry a heavy gun belt when concealing your weapon? Some people may argue that a gun belt is noticeable and people will know that you have a weapon on. FALSE!! A gun belt appearance is like any other belt. They look the same. However, it’s the quality and internal that make a belt a gun belt. It’s like being a twin, you may look the same on the outside, but inside is what makes them different from each other. Just a few reasons why it is necessary to wear a gun belt when concealing your weapon. A full grain leather gun belt will help reduce the movement of your weapon and or holster. There will be NO sagging of the pants, weapon or holster. The holster will ride very close to your body. That will help to minimize the possible printing of your weapon against your shirt. How To Choose the Right Belt? When it’s time to buy a new belt one may think about the price, style, brand and quality. When you are carrying a weapon you need to think about what you are going to be carrying that holster on. VERY IMPORTANT!!! I would not suggest carry a Dan Wesson on a $20 belt, that just a down grade. Department store belts are flexible and thin. They may say genuine leather, but actually you’re getting leftover leather scraps that have been glued and sewn together. You may get lucky and the outer thin layer of the belt may be covered with top-grain leather. Most of the time it’s synthetic leather material. If you are going to be carrying a weapon on your belt you may want to consider something stiffener and more durable to with stand the weight of your holster and weapon. By carrying a stiff belt you will increase the draw of your weapon. You can buy a regular gun belt, but make sure it is double layer with full-gain leather not synthetic, genuine or bonded. When carrying a weapon OWB (outside the waistband) you will need a stiffener belt than carrying IWB (inside the waistband). More information about gun belts to come….